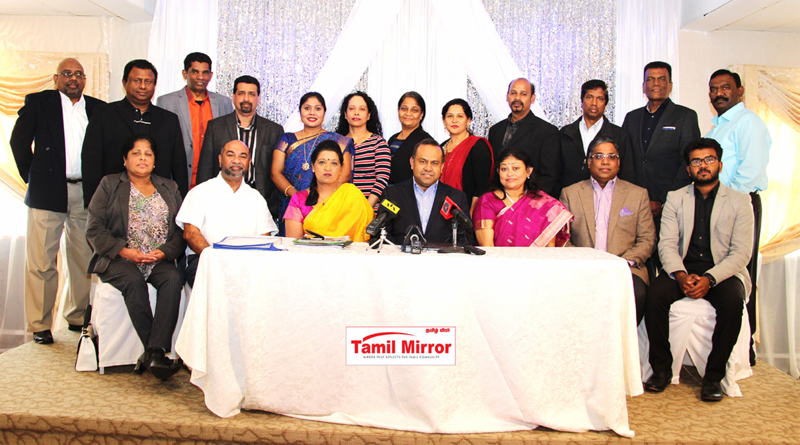 Canadian Tamils Arts and Cultural Organization held a press conference regarding BharathaMile, on Monday, May 22, 2017 at the LaRoya Banquet Hall, Ajax. BharathaMile will be a historical event as it will be the largest Tamil classical dance performance ever staged outside of Indian sub-continent. It will feature over 1,000 dancers who will perform Tamil classical dance in celebration of Canada’s 150th birthday. As part of this event, dance performers, teachers and other community members will also be making donations, a minimum of $50,000.00 to Scarborough Hospital. The event will be held on June 24, 2017 at L’Amoreux Sports Complex, 100 Silver Springs Blvd, Scarborough. For more info please call Nirothini 647-801-2023 or Ilangko 416- 707-9104.